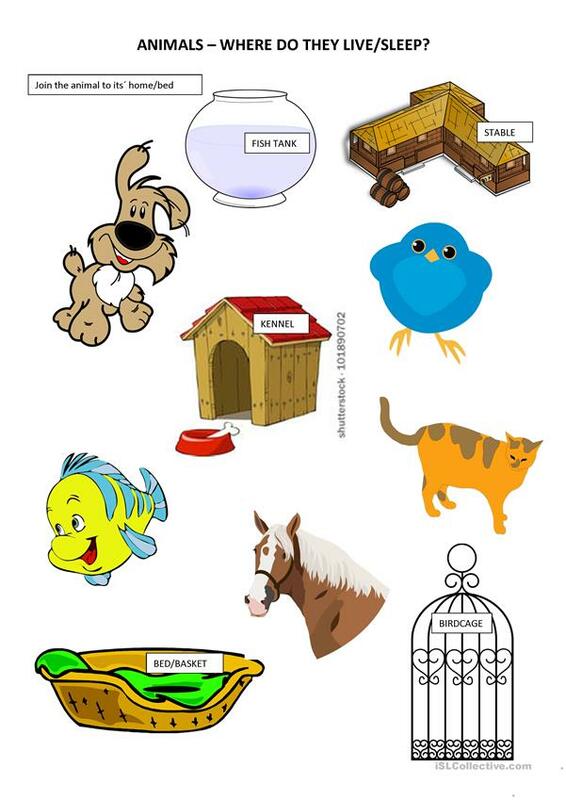 I produced this for my primary 1 students to teach them more about animals and their homes/beds. They cannot read or write much so they can join the animal to its´ bed/home by drawing a line. The teacher can reinforce the vocabulary. The present printable, downloadable handout is recommended for elementary school students at Beginner (pre-A1) level.